For me, it was love at first sight. It happened about three years ago when I was at home browsing through an online archival catalogue. Not exactly the stuff of romantic movies, I admit. I was at that time on the lookout for a subject for my fifth non-fiction book. Its predecessors were mainly set in mid-twentieth-century London, so I wanted to escape from that world by finding a story with a different and more varied backdrop. 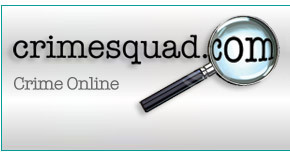 My search led me to the online catalogue of the UK National Archives, where I started dipping into crime file summaries. Like many writers of historical non-fiction that aspires to attain a novelistic texture and narrative drive, I’m attracted to real-life crime stories because they tend to be inherently dramatic. I’m also drawn to them because the accompanying police files provide the level of detail required to create a book capable of mimicking the atmosphere and characterisation of a good novel. I knew I’d found a potential subject for my next book. Now I had the nervous task of trying to discover whether anybody had written a full account of the escapades of Edgar Laplante (1888-1944). I couldn’t believe my luck. No such book existed. By then very excited, I submitted a request to examine Laplante’s file in the reading room at the National Archives in the south-west London suburb of Kew. Only a few days later, I was leafing through that file, which comprised documents as well as photos from both Scotland Yard and the Swiss police. With each page, Laplante’s already strange story grew even stranger. It soon earned me a commission from U.S. Penguin Random House for what would become King Con: The Bizarre Adventures of the Jazz Age’s Greatest Imposter. During the autumn of 1917, he reinvented himself as Chief White Elk—Ivy League graduate, college football star, prodigious linguist, war hero, and fictitious leader of the Canadian Cherokee. In that guise, he travelled to London where, ostensibly seeking to plead for improved educational opportunities for “his people”, he was granted an audience with King George V. He subsequently landed a job with Paramount Pictures, promoting what would now be labelled a blockbuster movie. The job took Laplante down to the French Riviera, scene of a life-changing encounter with an immensely rich Austrian countess, who swallowed his blarney about being not only a Cherokee millionaire but also the equivalent of royalty. She then bankrolled his royal tour of Italy. At each city he visited, huge crowds greeted him, regularly laying siege to his hotel. Officials from Benito Mussolini’s fascist government meanwhile showered him with awards. In keeping with his adopted persona, Laplante lived extravagantly and began dispensing bundles of Italian banknotes to his impoverished fans. He was, after all, no ordinary conman. Money was simply a means to an end, never his prime motivation. Over just a few months in 1924, he gave away the equivalent of as much as $58.9 million in 2018 currency—everything he’d extracted from the countess and other wealthy admirers. Together with so many other facets of Laplante’s bizarre story, which made him a worldwide celebrity, this would of course seem preposterous in fiction. If writing factual books has taught me anything, it’s that the real world has a boundless ability to outstrip even the most baroque inventions of novelists and film-makers. Paul Willetts is the author of four previous works of nonfiction, including Members Only, which was adapted into The Look of Love, a big budget movie starring Steve Coogan. Click on the link to purchase your copy of King Con. Photo caption/credit: Edgar Laplante, alias Chief White Elk, photographed in 1921. (Credit: “Courtesy of the Library of Congress Prints and Photographic Division.”).